Modern tents are stable structures made of mostly aluminum frames with the top cover made of fabric. Traditional tents had guy ropes which were to be pitched around the tent to hold it up while modern ones stand on stable aluminum support and no ropes are needed. Modern tents come in various shapes and sizes. 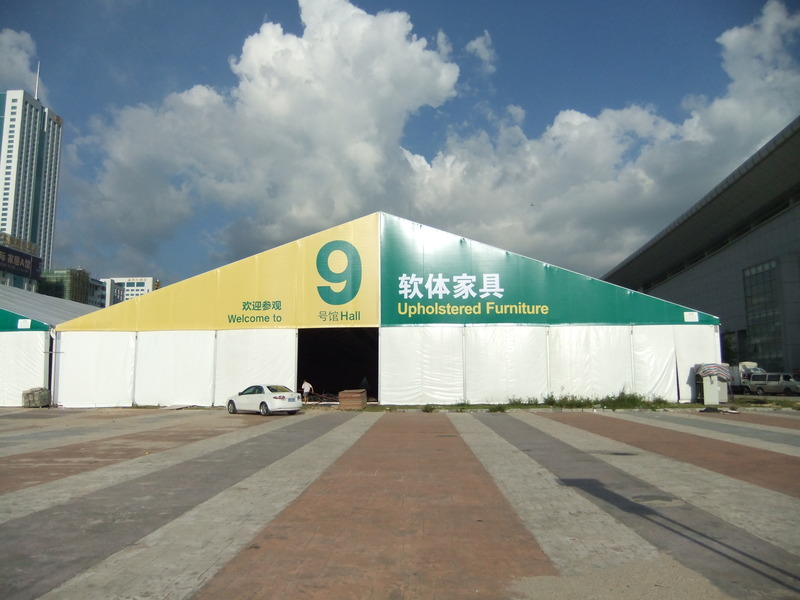 Exhibition tents are modern tents which are used mainly for outdoor fairs and trade shows to display various products. 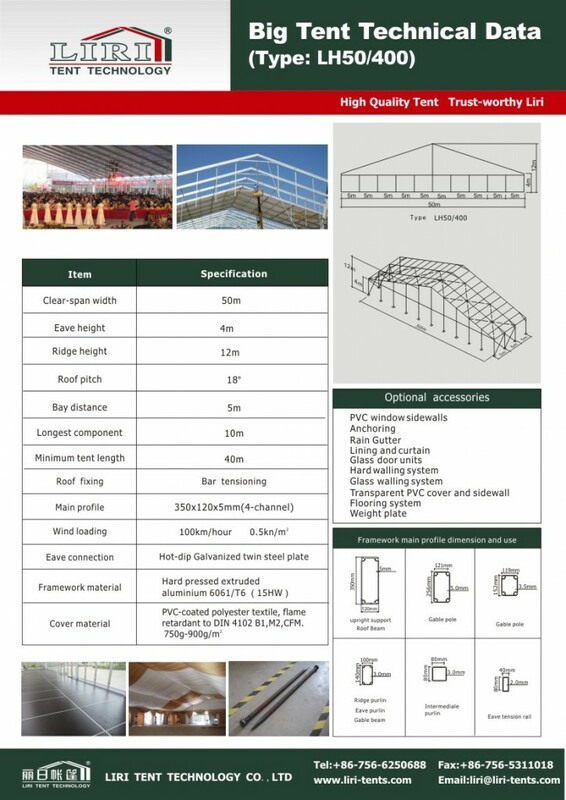 Exhibition tents are stable structures with strong frames and can fit into a large number of customers at the same time.Say 40x90m tent which can cover about 3000 people. The size of the exhibition tents can vary a lot. It may be a huge structure for auto exhibitions to small structures for conferences. No poles are constructed inside the tent and therefore it is very spacious and also provides an unobstructed view of the event. The exhibition tents are made with aluminum frames and fabric between the frames. The frames provide durability against rain and wind while the fabric, being customizable, makes the tent look attractive. Windows and other accessories can be easily fitted on the tents which allow natural light to come inside the tent. The tents are waterproof and have UV resistant, flame retardant.